At PRRSAAR you can invest in the Primary markets (Initial Public Offerings) online without going through the hassles of filling up any IPO application forms or any other paperwork. We shall make sure that you do not miss the opportunity to subscribe/invest in a good IPO issue by providing you an online IPO application form, transfer of funds online through secured payment Gateways of leading banks like ICICI, HDFC, AXIS bank. 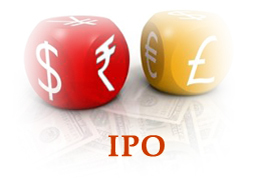 In addition to the above we shall provide you with the In-Depth analysis of the IPO issues which shall be hitting the Indian Markets in near future, IPO Calendar, analysis on the recent IPO listings, prospectus, offer documents and other IPO research reports so as to help you take an informed decision to invest in the IPO issues. A Trading Account with Prrsaar. A Demat Account with Prrsaar. An access to the net banking facility with the Banks through which Prrsaar has operational Gateway facility (ICICI, HDFC and AXIS Bank).